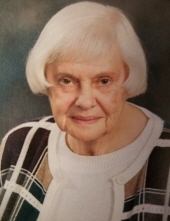 Carol Laverne Melton, age 90 of Seymour, passed away on Sunday, January 27, 2019 at Schneck Medical Center. Born October 21, 1928 in Brownstown, she was the daughter of Burrell and Laura Lee (Owens) Compton. Carol worked at Gerwin Shoe Factory, Talon and then retired from Valeo-Sylvania after 14 years. She was a member of The Point where she was active and helped with counting offering. Carol also volunteered several years as Schneck Medical Center Guild Lady. She was also a chocolate lover. Survivors include two sons, Tom (Kay) Melton and Rick (Mary) Melton; grandchildren, Alison (Mark) Fozkos, Brian (Jennifer) Melton, Rachael (Robert) Curl, Samuel (Amy) Melton; great-grandchildren, Kyle, Erin, Cole, Quinn, Jonas, Carter, Elizabeth, Samantha and Hayden. Carol was preceded in death by her parents; former husband, Russell Melton; brother, Acey Compton and great-grandson, Jacob. Pastor Steve Greene will conduct funeral services at 11:00am on Thursday, January 31, 2019 at Woodlawn Life Celebration Centre. Visitation will be from 10:00am until service time. Burial will follow at Riverview Cemetery. Memorials can be made at the funeral home to The Point or Schneck Hospice. Friends can sign the guestbook or share a favorite memory at www.woodlawnfamilyfuneral.com. To send flowers or a remembrance gift to the family of Carol Laverne Melton, please visit our Tribute Store. "Email Address" would like to share the life celebration of Carol Laverne Melton. Click on the "link" to go to share a favorite memory or leave a condolence message for the family.